Michael Miller, CEO, Global Telehealth Services The tremendous increase in demand for telehealth services in the healthcare industry over the last several years has spurred patients, providers and entrepreneurs to seek new ways to infuse technology into the how, where, and when of healthcare—on both the care giving and patient experience sides of the line. Because today’s society is more digitally attuned than any other generation, telehealth services make a great deal of sense in the market. Challenges continue to exist in creating an environment where patients are served in a way that truly benefits them and providers are confident that the healthcare guidance they provide is truly beneficial to patients. 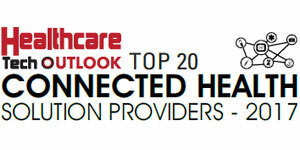 Global Telehealth Solutions (GTS) is leading the way. GTS, led by CEO Michael Miller, is forging the path toward interconnected virtual solutions meant to address these industry-wide challenges head-on. The company has an in-depth understanding of the obstacles faced by patients and providers in a traditional healthcare setting, specifically focused on access to quality care, partly due to the personal experiences Miller had throughout his career in healthcare. When his mother became ill, while living in a rural community, Miller saw firsthand the difficulties she experienced in getting to her doctor’s appointment. To assist individuals like his mother who so desperately needed a better option for care, Miller founded Global Telehealth Services and began development of a virtual health solution to champion these all-too-common issues. This agnostic strategy means that operational efficiencies can be created quickly while patient and health system expenses decrease, and patient satisfaction scores improve. Miller states, “The solution serves as the crucial component of the overall patient experience, strengthening the doctor-patient relationship.” When patient needs are being met with accuracy, and in real-time through telehealth and telemedicine services, providers have the opportunity to directly address the common issue of readmission and emergency room visits. The combination of these benefits drive costs down and encourages a well-rounded approach to medicine for all parties involved. GTS has been successful in its delivery of healthcare monitoring and delivery solutions since its inception, and Miller attributes this ongoing success to the company's laser-focus. He states, “Our entire team continually works to innovate our solutions playbook, actively seeking out ideas from clients, colleagues in healthcare, patients, channel partners, and our own employees.” The company also monitors technology developments from a wide range of industries throughout the world, specifically looking for solutions and platforms that may transfer well to a virtual health environment. GTS reviews each new idea and categorizes and prioritizes them through a portfolio management system allowing for formal research throughout the process. Having input from doctors, nurses, specialists, patients and technical staff members gives the company a well-rounded and grounded understanding of the issues challenging the virtual healthcare market and how they may impact the future of development within and outside the company. GTS stands out as a leader in the telehealth industry because of its team members’ passion for improving the healthcare system. Everyone on the GTS team is an ardent advocate of virtual health, and they are continually assessing business challenges, patient care, and new delivery models as part of the company’s core values. The passion for improving patient health while simultaneously cutting healthcare costs and creating operational efficiencies fuels GTS’ continuous solution development strategies. Miller states, “We start every week with a Monday morning huddle which is an open forum to recap the previous week.” With transparency as the leading focus, the team talks through product development updates and team member are encouraged to challenge each other on the upcoming week’s priorities. Miller guides this process and sets priorities for different GTS teams for both the short- and long-term. The unique approach taken by GTS gives the company its agility, which Miller states is a true state of mind for the organization. In solving the problems faced by healthcare providers and patients seeking care, GTS builds off the vast experiences of its team members. In addition to teamwork, fun is a core value and a daily mantra of the company. With these driving forces, GTS' clients not only feel confident that the team is always thinking about ways to better accomplish an outcome but that they are also a pleasure to work with, no matter how challenging the task is. New telehealth solution providers have entered the market in recent years, hoping to assist care providers in achieving optimal outcomes in care delivery and operations. Many of these new entrants are either a video only or device centric solution. GTS has remained a leader in the space because of its unwavering commitment to being a software-as-a-service (SaaS) middleware platform, agile enough to meet the needs of its clients quickly. One such client, At Home Medical Professionals (AHMP), sought out the assistance of GTS to reimagine the delivery of services to their chronic care patient population. AHMP desired to reduce emergency visits and hospital readmissions while enhancing patient compliance and education. At Home Medical Professionals wanted the ability to detect changes in patient conditions dynamically without increasing the frequency of visits to a hospital or primary care providers. Working with GTS proved to be a wise decision, as the telehealth company provided the user experience, expertise and industry knowledge to design a bespoke solution that met the needs of the client. “GTS’ flexibility, creativity, and out-of-the-box approach to engaging VirtualHealth in our environment made a big difference in advancing our patient’s health outcomes,” said the Managing Partner of At Home Medical Professionals. Over the course of a year AHMP patients experienced a 80 percent reduction in emergency room visits and hospitalizations. A patient taking part in the trial stated, “This program is an extension of the good care we have received for a long time. I haven’t been in the hospital for over a year now, and I am feeling pretty good.” These measurable, powerful outcomes made possible through the partnership with GTS show incredible promise for the future of telehealth services for patients and providers alike. 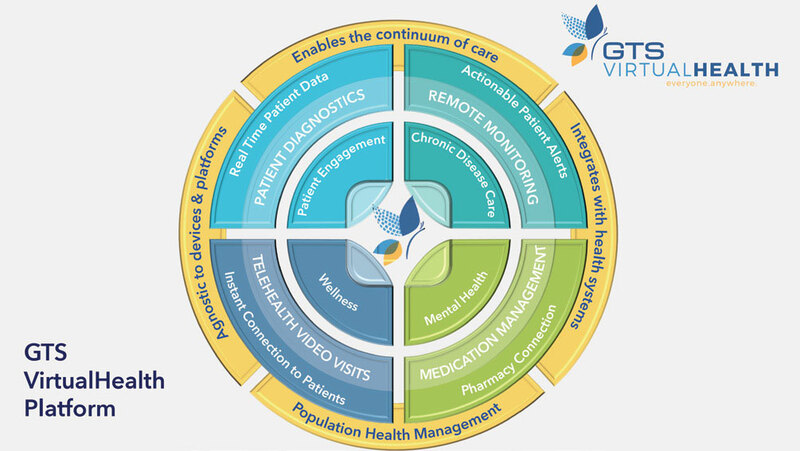 Global Telehealth Services has spent significant time and resources in developing its VirtualHealth platform, and its innovation and commitment to excellence in delivery promise to continue in the years ahead. The company’s ability to continually perform at such a high level for its clients can be correlated back to Miller’s persistent optimism and his history of leadership in both his personal and professional life. Miller states, “We all look at the possibilities of telemedicine and apply design thinking and business logic to everything we approach at GTS.” This perspective he brings to the table is the driving force inspiring the GTS team to strive toward the end goal of healthcare access for everyone, anywhere. Miller’s contagious energy is what promises to lead Global Telehealth Services into the upcoming year, as plans are solidified to bring its VirtualHealth platform to a global scale. The entire GTS team is focused on adding new technology like machine learning to its current solutions, making its ability to provide the most comprehensive services in telehealth to its clients.